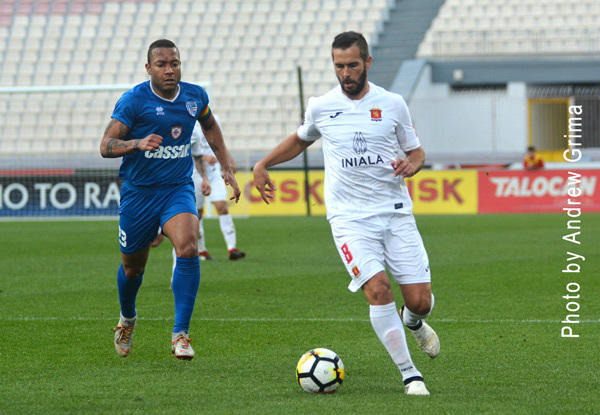 An early goal by Nikola Vukanac gave Birkirkara a most important win over MŠK Žilina of Slovakia. 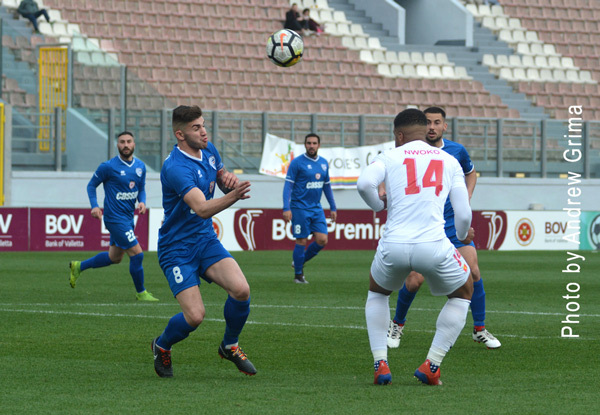 A win which enables Paul Zammit’s side to maintain alive hopes of securing a dream place in the third qualifying round of the UEFA Champions League. 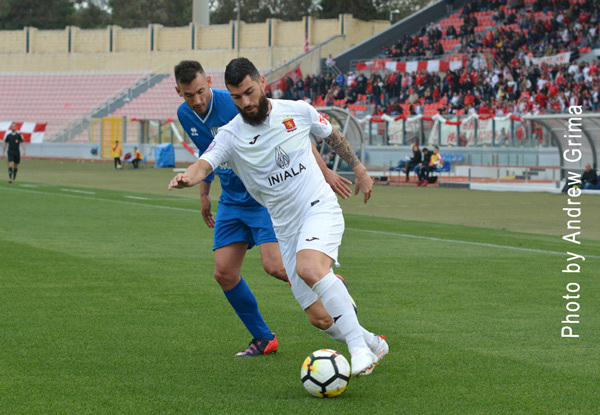 After beating Santa Coloma 4-3 last week, this was also the second consecutive Champions League win for Birkirkara after being awarded a win by default for the first leg clash against the Andorran champions. It was a most positive performance by the local champions against the strong Slovakian side. 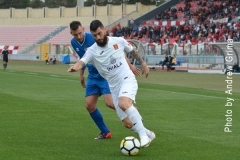 Žilina created more chances throughout the ninety minutes but Birkirkara, despite lacking a number of players, did an excellent job in keeping them at bay with Brazilian goalkeeper Esequiel Lovizon definitely playing his best game so far. The Stripes were unable to field their best formation due to the absence of Trevor Cilia, Thomas Paris and Rowen Muscat besides Sylvano Comvalius who had missed the first leg. 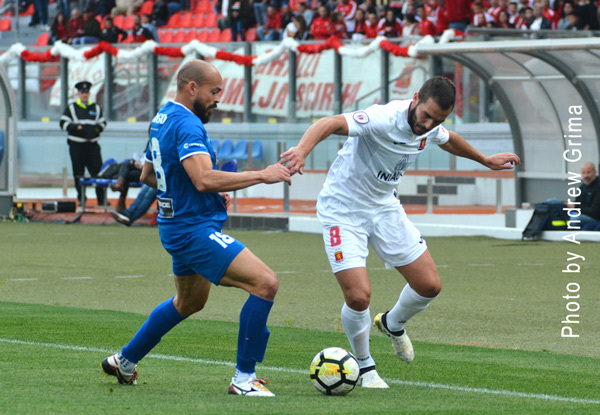 Italian striker Jacopo Camilli was missing from the squad after being released. 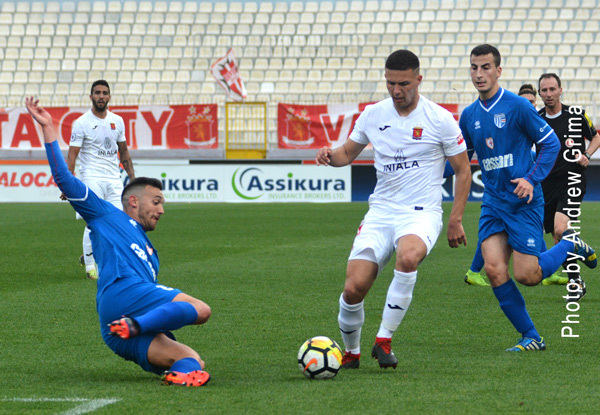 Birkirkara managed to take the lead after less than a minute when a Shaun Bajada freekick was not held by goalkeeper Martin Dúbravka, probably due to a foul, and Nikola Vukanac placed the ball at the back of the net. The visitors replied with a weak shot by Emil Rilke from the right which was parried by Esequiel Lovizon. On the 12th minute, a freekick by Patrik Mráz from the right scraped past the post. On 32 minutes, Lovizon performed a great save on a Tomas Oravec header following a cross from the left by Emil Rilke. A shot by Tomas Majtán from the edge of the area was parried by the Stripes’ Brazilian goalkeeper four minutes later. In added time, a Shaun Bajada freekick ended just over the bar. The Stripes continued where they had left going close two minutes in the second half with a cute lob by Paul Fenech which however was saved with particular difficulty by Dúbravka. Zilina replied with a cross shot from the right by Robert Jež on 49 minutes which was saved by Lovizon. A minute later, off a cross by Štefan Zošák from the left, Issiaka Bello flicked the ball just wide. On the other side of the pitch, Shaun Bajada’s long-distance freekick was parried by the Zilina goalkeeper on 57 minutes. On 59 minutes, the visitors went close once again with a cross from the right by Rilke, the ball was deflected by Majtan for Zosak’s first-time effort to be blocked by the goalkeeper who also managed to save Oravec’s close-range shot. Hardly a minute later, off a cross from the left, Emil Rilke had a powerful shot from inside the area which was turned into a corner by the Stripes’ Brazilian goalkeeper. Tomas Majtán then missed a good opportunity on 68 minutes when he received a through pass inside the area but his low shot scraped past the post. A cross shot by Patrik Mraz was then parried by Lovizon two minutes later. Then in a counter-attack, Pavol Poliacek had a low shot missing the target by a whisker. Zilina maintained the pressure and a Mraz freekick was parried by Lovizon on 77 minute and less than a minute later, they went close once again with a Issiaako Bello effort. Stanislav Angelovic then was unlucky to hit the upright with a shot from the right on the 79th. On the 80th, Bello headed wide off a cross by Leitner. After five minutes of added time, the final whistle by referee Simon Lee Evans saw the Stripes take a 1-0 lead ahead of the second leg which will be played in Zilina on Wednesday 21. 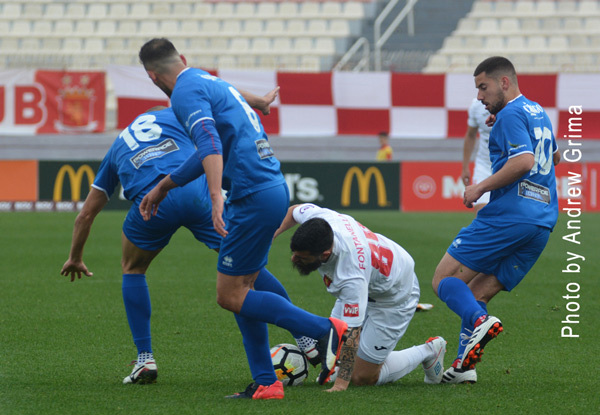 B’KARA Esequiel Lovison, Angus Buhagiar, Branko Nisevic, Nikola Vukanac (72’ Patrick Borg), Joseph Zerafa, Alan Tabone, Paul Fenech, Andrew Decesare (85′ Ryan Scicluna), Shaun Bajada, Michael Galea, Karl Pulo (81’ Andrew Scicluna). ZILINA Martin Dúbravka, Stanislav Angelovi?, Patrik Mráz, Emil Rilke (60’ Pavol Poliacek), Tomas Majtán (67’ Dominik Fotyik), Robert Jež, Tomas Oravec, Josef Pia?ek, Ondrej Šourek, Štefan Zošák (79’ Vladimir Leitner), Issiaka Bello. Subs not used: Martin Krná?, Lubomir Guldan, Juraj Chupác.